This sleepy little cat pin relaxing with her favourite ball of string is ready to be your new best friend. 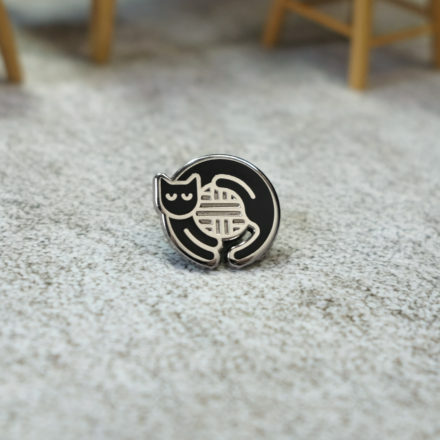 This is the purr-fect accessory for any cat lover and the simple white and gold colour scheme will look great anywhere. 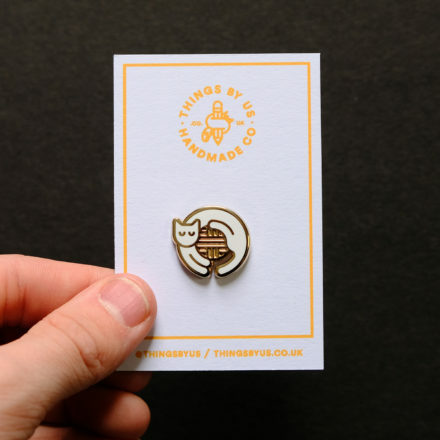 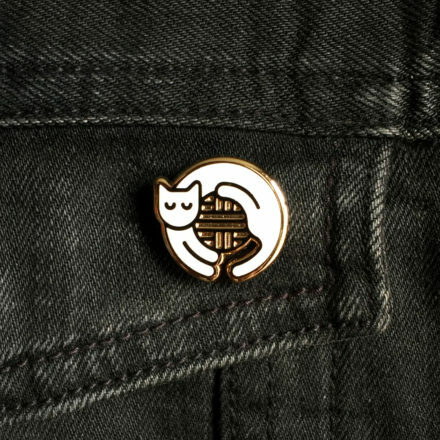 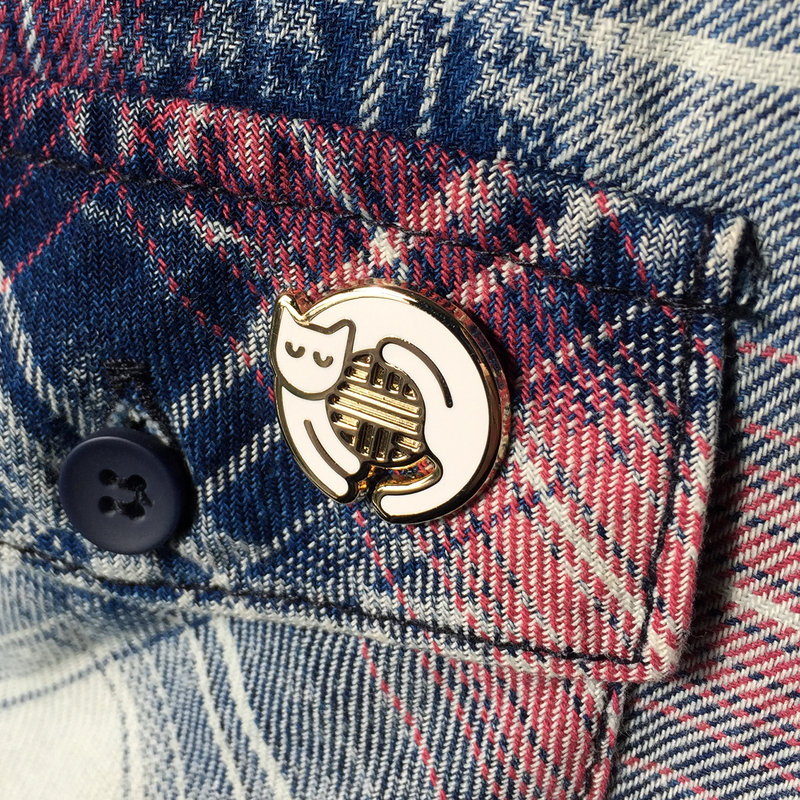 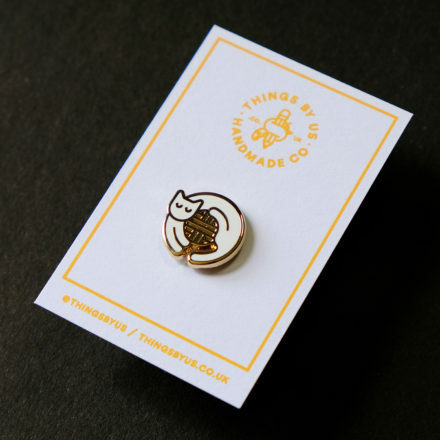 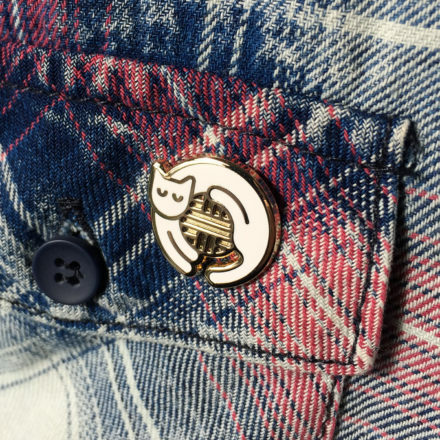 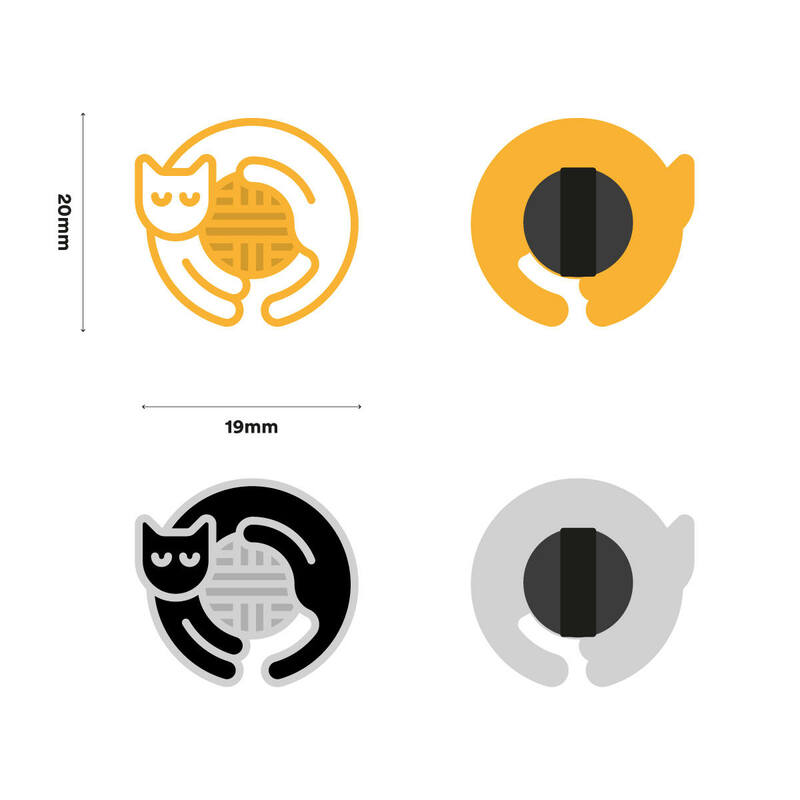 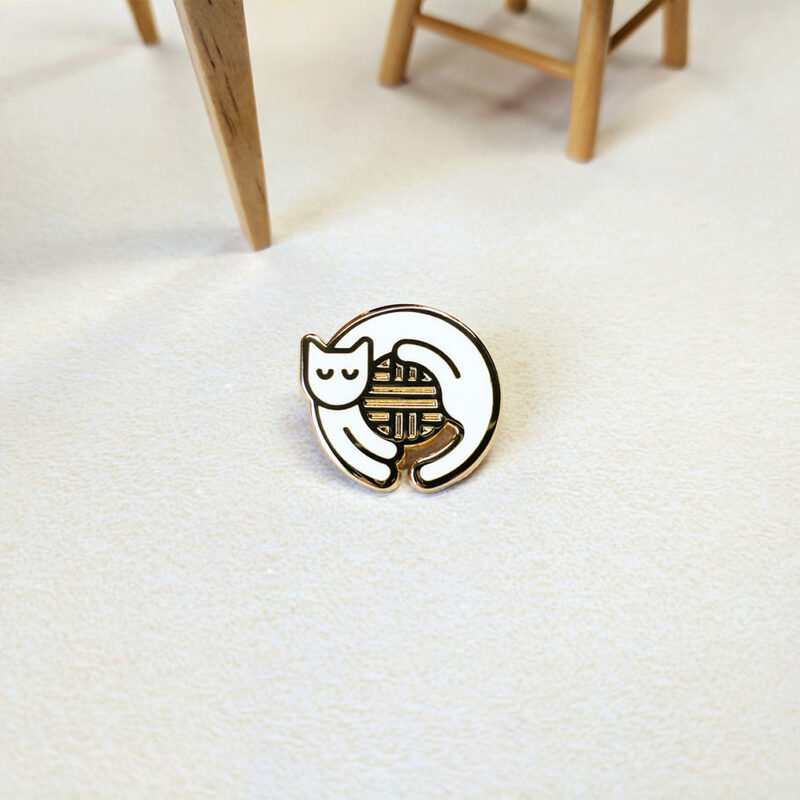 If you love cats, then you’ll love this cute relaxed little enamel pin badge featuring an adorable round cat in white and gold. 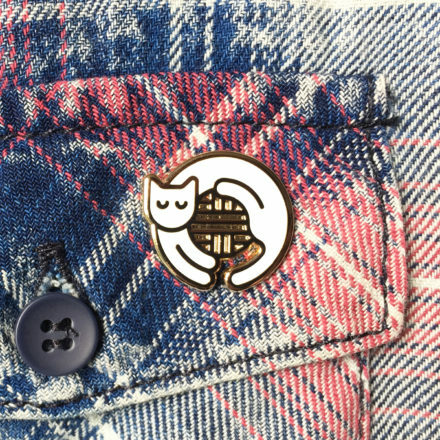 Wear it with pride, letting the whole world know you love your cat. 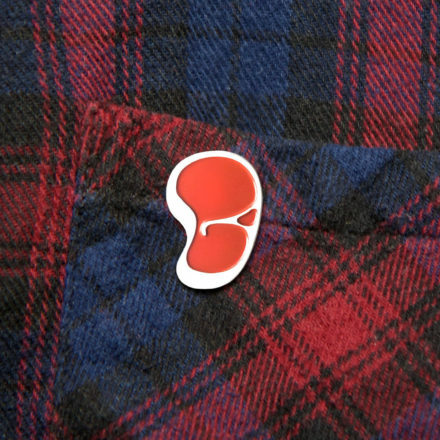 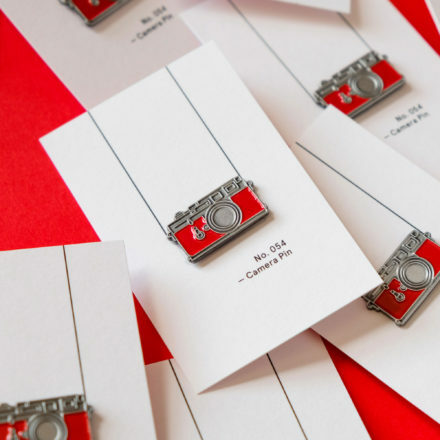 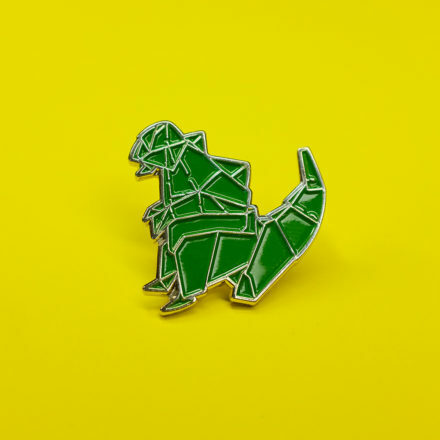 The pin features a modern PVC rubber clutch fixing, suitable for heavy wear, which will keep it attached securely wherever you decide to show it off. They are easy on the fingernails and are longer-lasting. If however you would prefer a metal clutch, please let us know and we’ll switch it before we send out your pin.